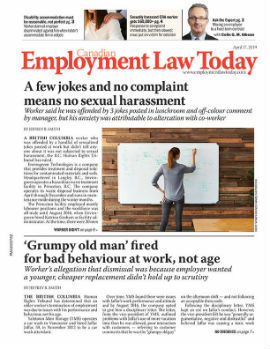 This instalment of You Make the Call involves a dispute between a union and an employer over the Canada Day statutory holiday. Canada Bread Company in North Bay, Ont., had a collective agreement with its union that recognized 11 paid holidays, including one each employee got for her birthday. Employees would receive either a paid day off of be paid 1.5 times their regular pay for working on the holiday. To be eligible for the paid holiday, employees must have worked the full regular shift before and following the holiday. In 2012, Canada Day (July 1) fell on a Sunday. Since Sunday was a regular day of operation for Canada Bread, the company declared Sunday, July 1 would be the holiday and employees would receive the day off with pay. They would then work July 2 for regular pay. This differed from the federal Holiday Act, which stipulated July 2 would be the day of observance since July 1 wasn’t a normal business day.